Country music fans can rejoice, because golden-voiced country music star Don Williams is back on the road and coming to a town near you along with new friends Joey + Rory. Don Williams' string of country music chart hits is enviable and includes 17 Number Ones, including "Tulsa Time" and "You're My Best Friend." The hits "Good Ole Boys Like Me" and "Some Broken Hearts Never Mend" are also crowd favorties. 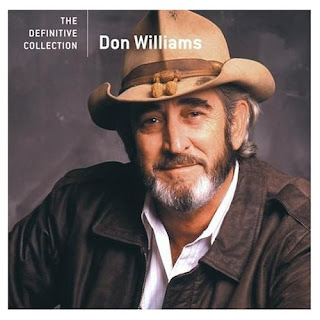 "I Believe In You" was also a major pop crossover hit for Don Williams. The music legend will be inducted into the Country Music Hall Of Fame in Nashville, Tennessee on October 24, 2010. Recently deceased music star and sausage king Jimmy Dean will also be honored with induction. Before that, Williams joins opening act Joey + Rory for a series of concerts that begins tomorrow night (September 30, 2010) at the Rose State College Theatre in Oklahoma City. The concert is presented by veteran promoter Larry Shaeffer.